In August of 2018, the Tech Policy Lab held our second Global Summit on Grand Challenges for Tech Policy, focusing on culturally responsive artificial intelligence (AI). The Summit, convened at the University of Washington, brought together a global network of experts in ethics, political science, art, policy, and technology from the continents of Africa, Asia, Europe, and North and South America. Over the three days of the Global Summit, we surfaced implications of cultural responsiveness for AI systems. To explore these questions, participants authored original stories around AI technology situated within their own culture and perspective. As a group, we worked on these stories over the course of the workshop, exploring technical, cultural, and policy perspectives. The stories were accompanied by illustrations from three invited artists, also from a range of backgrounds. Stories are a uniquely appropriate vehicle for discussing pressing issues around AI: stories engage readers with different ideas; they persist across time, generations, and diverse audiences; they facilitate discussion and surface ideas; and stories can co-exist despite competing messages (e.g., “out of sight, out of mind” and “absence makes the heart grow fonder”). Building on the Lab’s collective experience deploying innovative methods and toolkits (see Diverse Voices, Envisioning Cards, Security and Privacy Cards), we intend to publish the stories created over the course of the Global Summit together in an anthology. Through this book, we will be able to feature the diversity of perspectives present in the Global Summit initiative. The stories generated by participants in the Global Summit will be made available in an anthology in spring 2019. Our aim is to make this anthology accessible to all, and we will communicate more details as we near 2019. Please check this page as well as the general Tech Policy Lab website for future updates on the anthology. 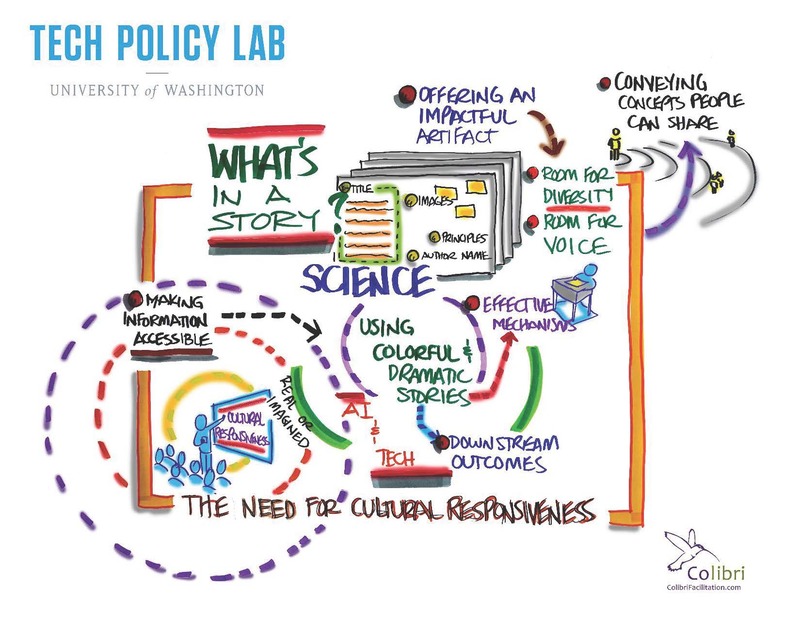 The Tech Policy Lab is a unique, interdisciplinary research unit at the University of Washington. With co-directors from UW’s Law School, Information School and Allen School of Computer Science & Engineering, the Lab aims to bridge the gap between technologists and policymakers to help develop wiser, more inclusive tech policy. Situated within a globally renowned research university, the Tech Policy Lab is committed advancing technology policy through interdisciplinary research, public discourse and education, and the cultivation of a diversity of expertise and perspectives. To learn more about the Lab’s cutting edge research, thought leadership, and education initiatives, go to www.techpolicylab.uw.edu.